CHIP MERKEL: Hello. I’m Chip Merkel, President and CEO of United Concordia Dental. 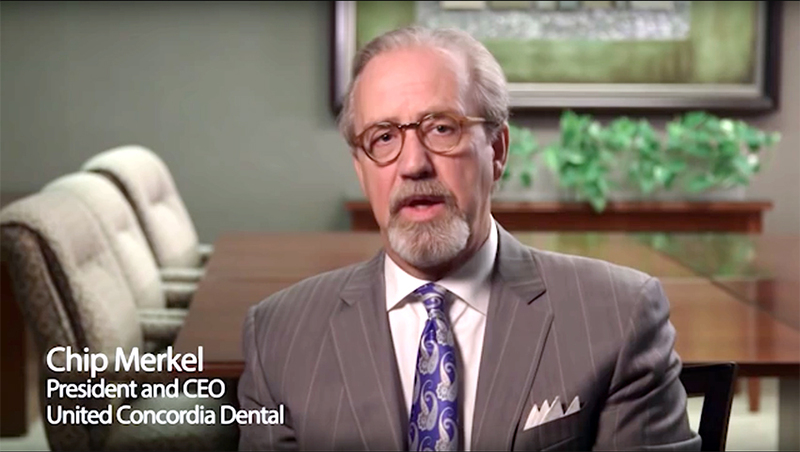 As a leading dental solutions company, and one of Highmark Health’s diversified businesses, United Concordia is focused on delivering better overall wellness for our customers. We know that oral health is more than just a smile. It’s about the connection between oral and overall wellness. It’s about delivering high quality affordable care. United Concordia’s approach is nontraditional. We have innovative research-backed products and informed and engaged dental wellness coaches. We’re helping customers achieve healthier lives through healthier mouths. United Concordia’s workforce is diverse. We’re nearly a thousand strong across the country with more than 20 locations. And we offer a variety of career opportunities, including sales, benefit coding, customer service, claims, marketing, underwriting, and reporting. Collectively, we all play an important role helping develop forward-thinking dental solutions and we are focused on better serving our customers. That’s why we encourage the active engagement of our employees in all aspects of our business and why we encourage our employees to make objective data-driven decisions. We ask them to look at things differently, to share information and new ideas, and to work across departments. If this sounds like a team that you’d like to be part of, we invite you to explore our career opportunities and be part of the heartbeat of health care with United Concordia Dental.